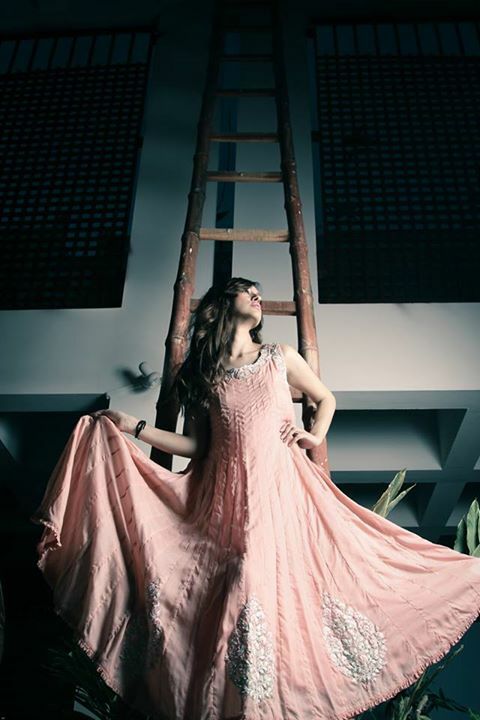 Insam by Insia Sohail the most famous clothing label of prêt & couture has appears with newest range of evening wear collection 2015 for young girls and women. Chic and trendy evening wear dresses are includes in Insam newest range of evening wear collection 2015 for women. These evening wear outfits 2015 by Insam will give you elegant look in any evening gathering. Insam has presented sundry designs in is evening wear collection 2015 for women. Such as jewellery inspires design that has embellished on neckline with Kundan, Resham, maroori and Zardozi work. This design has finished with pure silk net and silk lining. Flairy pure net shirt dress that has embellished with French knotted resham, beads and sequins on neckline. Daman has embellished with floral bouquet in same work style. You will find a stunning Panel’s shirt that has prepared with black pure georgette 80 gram chiffon with ajrak panels. It has embellished with sequins chaan all over. Neckline has adorned with intricate maroori and Kundan work. Ajrak flair frock; it has decorated with gold Zari work. Sequins and beads are used to increase the attraction of neckline and back. Back is also embellished with tassels. One another design that you will find in Insam evening wear collection 2015 is a strait shirt that has made of georgette 80 gram chiffon stuff. It has adorned with heavy mukesh work, chatter Patti. Sequins detailing all over the shirt has made this evening dresses prettiest. It is an intricate handmade evening dress which can be defined as wearable art. Last one design that we are sharing with you from Insam evening wear collection 2015 has made with pure silk stuff. This blue silk shirt has adorned with Zardozi, maroori work in gold. Kundan, resham and sequins work around the neckline is looking superb. Screen print silk detailing touch has added more attraction in this evening wear dress. Let’s view this latest evening wear range of Insam evening wear collection 2015 for women.